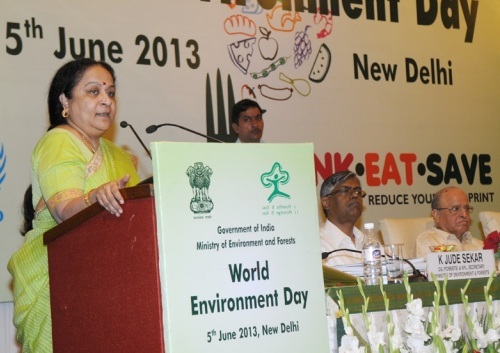 The Minister of State (Independent Charge) for Environment and Forests, Smt. 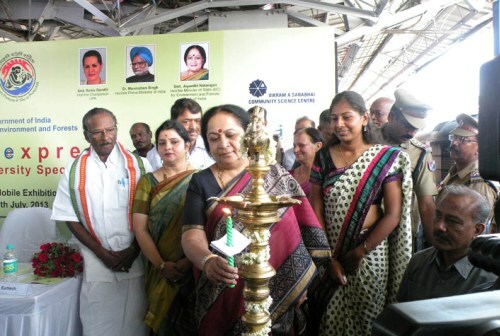 Jayanthi Natarajan lighting the lamp to inaugurate the biodiversity exhibition as Science Express Biodiversity Special arrives at central railway station, in Chennai on July 27, 2013. 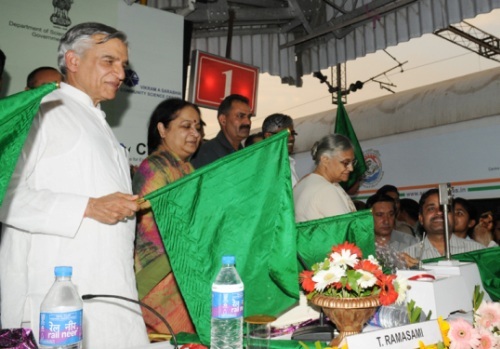 AGM, Southern Railway, Sri G. Narayanan and Additional Secretary, Ministry of Environment and Forests, Shri. Shashi Shekhar are also seen. 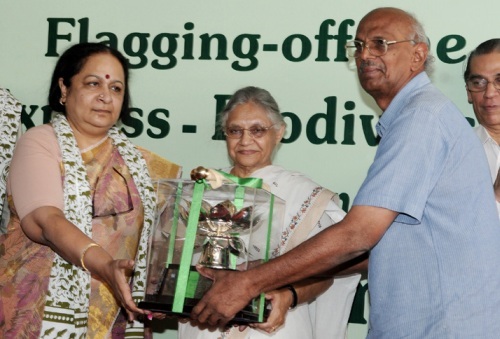 Environment Minister Jayanthi Natarajan during the launch of the National Wetland Atlas on the occasion of World Environment Day 2013. Also present during the launch were Member, Planning Commission, Dr. K. Kasturirangan, the Secretary, Ministry of Environment & Forests, Dr. V Rajagopalan and the UN Resident Co-coordinator, Ms. Lise Grande. 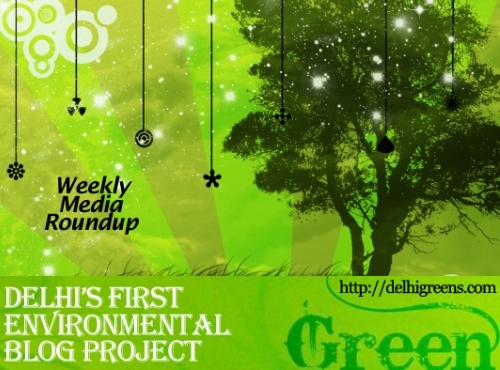 Last updated by DG Correspondent at July 29, 2013 .